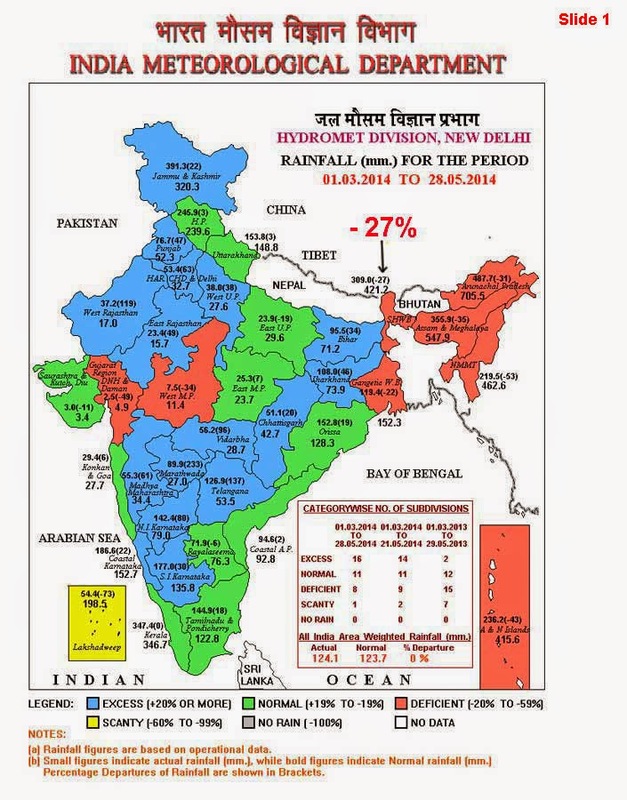 As per IMD, Sub-Himalayan West Bengal and Sikkim is running 27% deficient in rainfall for the period 01Mar-28May2014 (Slide 1). 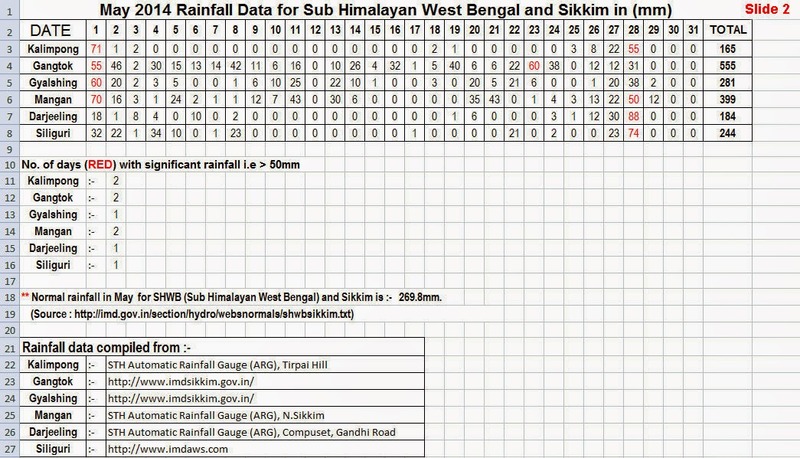 Actual rainfall figures, date-wise are given in Slide 2. 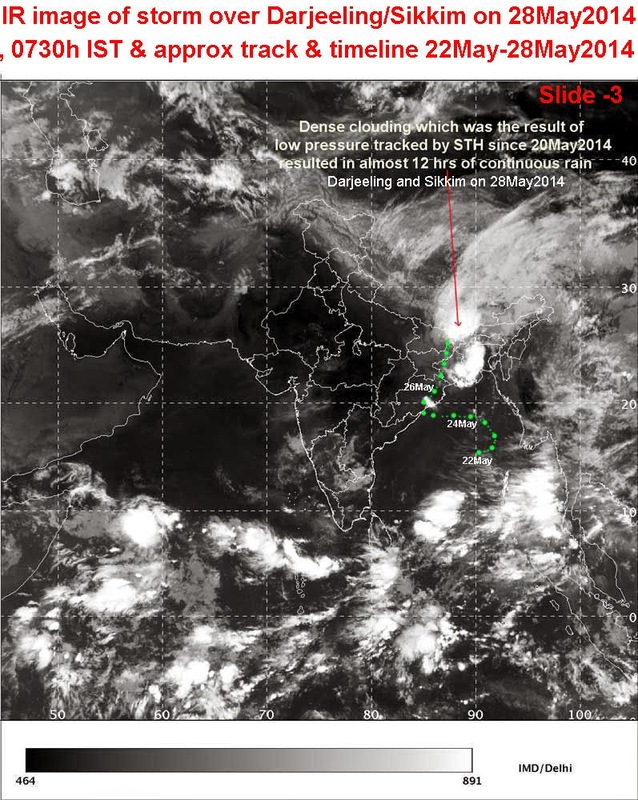 In our 'Storm Watch' series, STH reported a storm in the Bay of Bengal on 20May2014 and tracked it upto 28May2014 when it reached the Darjeeling-Sikkim Himalaya resulting in a 12hr spell of rain in our region. 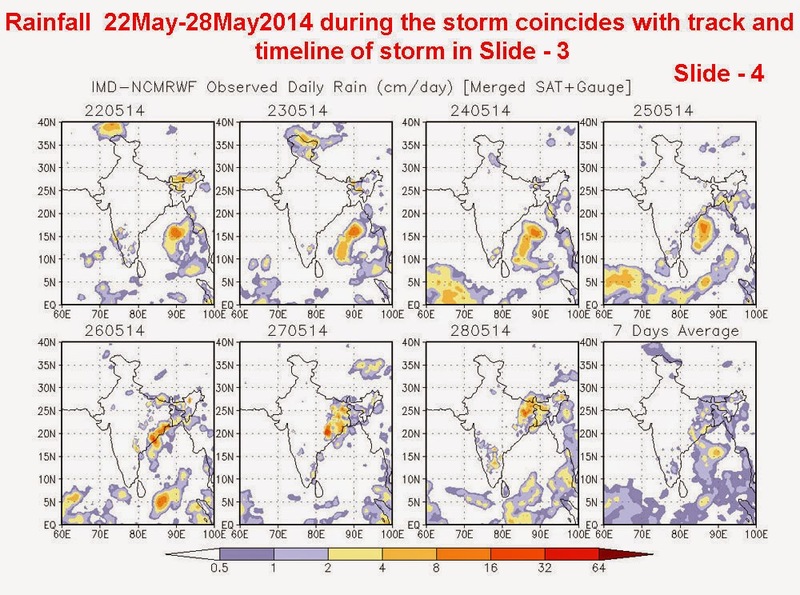 Luckily, the rainfall though continuous, was not heavy.Tracks and rainfall associated with the disturbance can be seen in Slides 3 & 4. No landslide fatality is reported in May2014 and all landslides in this region were confined to North Sikkim and along roads.